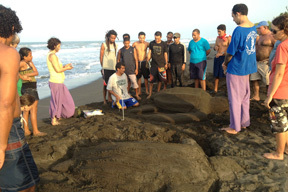 “When I accepted the position as Research Assistant for the Pacuare project I read all the information about the project site and work, but you never really understand until you experience it. 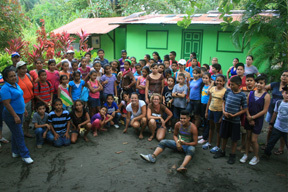 I have to say working in Pacuare was one of the biggest challenges of my life. 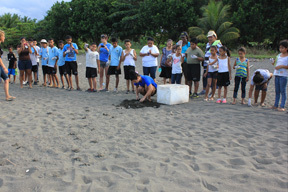 The remote location, the weather, walking the beach at night, relocating turtle eggs, building the hatchery, training volunteers… and much much more!! At the same time it was on of the best experiences of my life. 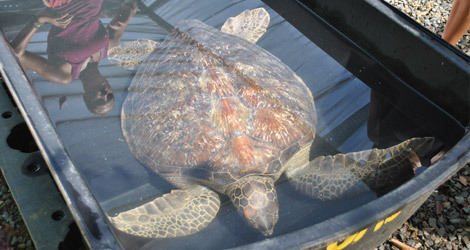 I did learn so much about the dwindling sea turtle populations and what we need to do to help, but I also learnt so much about myself as a person. RA's really make the difference helping with the running of our projects and play an essential role in our conservation work; they are the connection between project staff and volunteers and complete our teams as highly appreciated extra members. 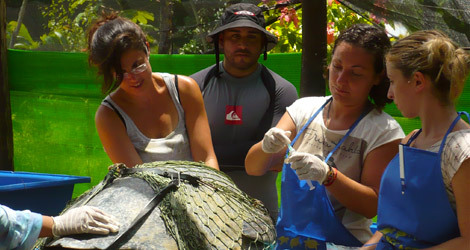 We offer a limited number of positions to work as a Research assistant (RA) in our Sea Turtle Conservation Projects. This job will be voluntary and no salaries or stipends will be paid in spite of that you will be considered part of the project staff and that you will have specific duties to carry out. Depending on the previous experience and skills of an applicant, it will be decided whether the costs of lodging and food will be covered by LAST Costa Rica or if the assistant will be asked to pay $5 or $10 per night. 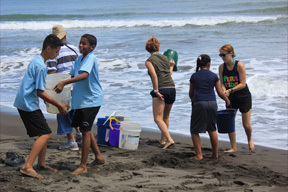 Each RA will be responsible for his own travel expenses to the project site in Costa Rica. Also, the RA's should cover other extra expenses like camera, lodging, special food and drinks and transportation to and from the project. Be 20 years of age or older and in good physical condition. Be fluent in the English and Spanish (advanced) language. 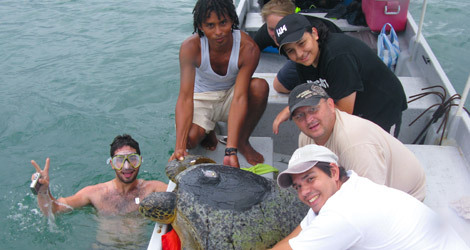 Have an educational background (undergraduates or graduates) in Biology, Marine Biology, Conservation, Ecology, Environmental Education, Veterinary, Wildlife Management, Oceanography, Zoology and/or experience in working with Sea Turtles. Be willing to a firm commitment to work a minimum at least two and half months, preferably three months or more in the project. 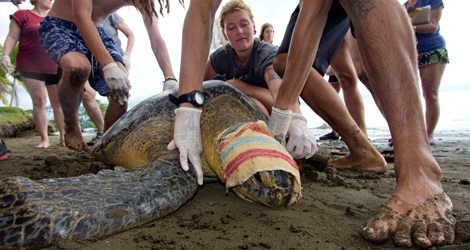 Be interested in sharing his/her knowledge and to stimulate interest in volunteers for the protection and the conservation of Sea Turtles. Be a responsible, hard-working, communicative, and enthusiastic person. Capable to live in tropics with very rustic and basic living conditions (dormitories and shared outside bathrooms) and under adverse climatic conditions. Usually it is very hot with 100% of humidity, frequent rain and very heavy sometimes. With lots of mosquitoes and/or sand flies. How can I apply for a RA position? You want to know more details about the work during an internship as a RA?